An man named Menzo Brazier has been arrested after leaving his gun in a car with his children and their mother, Shanique Thomas. Their 3-year-old daughter grabbed the handgun and accidentally shot Thomas through the back of her passenger seat. 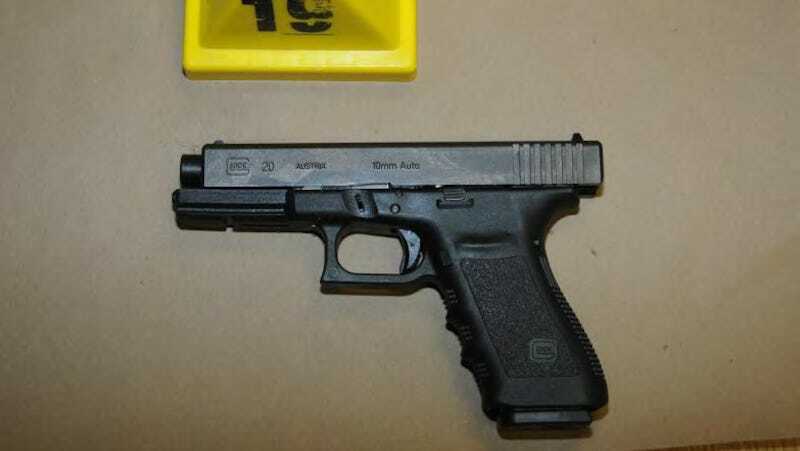 Brazier left the loaded Glock19 9mm handgun between the center armrest and the front passenger seat, police said. His 3-year-old daughter got hold of it, and Thomas told police she heard a “loud pop, like a balloon.” Then she realized the blood she saw was coming from her own body. The bullet went through the driver’s seat where she was sitting and struck her back. Thomas was able to exit the car and check on the children (in addition to the 3-year-old, the couple’s 1-year-old was in the back), retrieving the gun. She was taken to the hospital and reportedly had surgery for the injuries she sustained, which caused some nerve damage. Brazier has been charged with “two counts of criminal recklessness and two counts of neglect of a dependent.” The couple’s two children are currently in the custody of Child Protective Services.